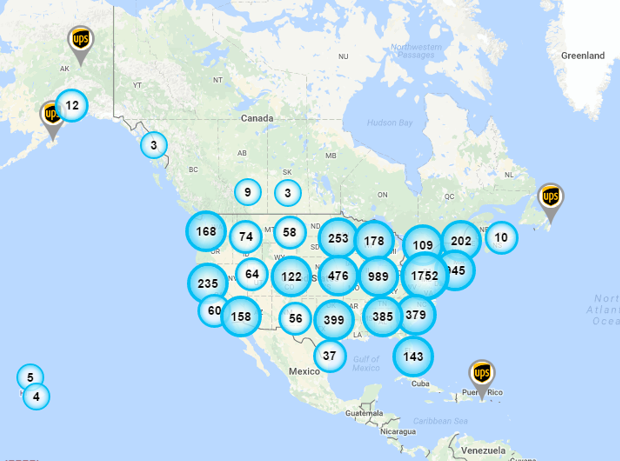 UPS has one of the best career web sites I have seen. It provides you an easy and graphical way to see the variety of job openings. Now, you can click the old-fashioned search arrow to bring up a standard search tool. Or you can scroll lower down on the page and use the cool map feature. Click on the circle around Utah and Nevada. 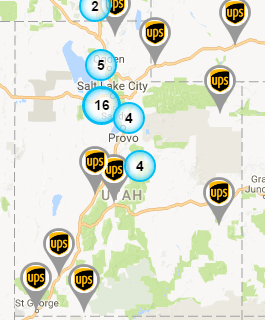 Click on a UPS pin for a specific site. At that point a link to an available job at that site displays.